Back in 2009 the Milwaukee District Attorney launched a far-reaching and secret investigation into a then soon-to-be elected Governor Scott Walker, his staff, and several Wisconsin conservative groups. The governor and his allies always maintained that the investigation was little else but a political jihad against them. Now a former Wisconsin prosecutor is saying that the union-allied wife of the District Attorney was really the main reason for the long, convoluted, and shady investigation. The case was never successfully defended as a legitimate probe into corruption, having always looked more like a political witch hunt. And now, a new report at Legal Newsline may have revealed why: The Milwaukee DA’s wife, a union operative infuriated by Walker’s policies, was behind the whole thing. A former Wisconsin prosecutor has come forward to charge that Milwaukee DA John Chisholm was goaded by his union-member wife to keep the pressure on Walker as he carried out his campaign promises to cure the budget problems that he faced when he was elected Governor. The former official also noted that after Walker’s election, the DA’s office became extremely partisan against him–with many of the employees siding with unions, even to the extent of attending anti-Walker rallies sponsored by unions. The prosecutor also claimed that the reason for the continued John Doe investigation–even after Walker won the recall election and successfully enacted his budget policies–was that the wife of the DA pushed the issue with her DA husband. These revelations may finally shed light on the many unanswered questions about the nature of these Jon Doe investigations. William A. Jacobson, publisher of Legal Insurrection blog and Cornell Law School Professor, noted that if this is all true it tends to finally explain the DA’s motivations. Jacobson also said that it is a “chilling” revelation. If true, the involvement of DA Chisholm’s union-member wife in this investigation is a shocking revelation revealing an abuse of power by the Milwaukee District Attorney’s office and a trampling of the First Amendment rights of hundreds of Wisconsin citizens. The DA’s investigations have a long, twisted history. The origin of the secret investigation was the 2009 theft of over $11,000 in county funds discovered by one of Walker’s staffers when he was still the Milwaukee County Executive. The thief was quickly found and prosecuted, but this served as an excuse for Milwaukee District Attorney John Chisholm, a Democrat, to begin to probe what he considered shady practices inside Walker’s office. Chisholm launched what is known in Wisconsin as a “John Doe” investigation. In a John Doe probe, those being investigated are not only blocked from being allowed any information about the probe but are barred from even responding to the inevitable, politically damaging leaks that come out of the investigator’s offices. As Walker geared up to run for governor in 2010, the investigation took what critics charge was a major political turn. The investigation was wildly expanded, and the DA began secret investigations into several conservative organizations that supported Walker as he ran–and still after he won–election to the Governor’s office. The probe began to look more and more like a political witch hunt with the DA’s investigation ranging so far afield as to leave the original issue–the theft of the county funds–far, far behind. The investigation took on an air of abuse of power as conservatives across the state found officials raiding their homes in the dark of night and were frightened into silence by threats of jail. 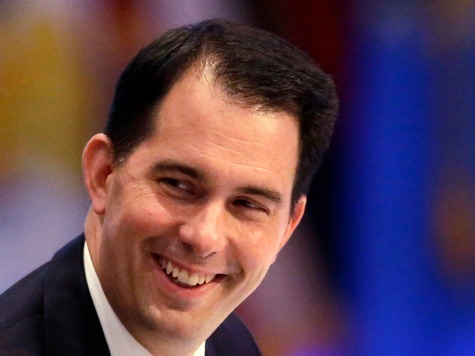 As Walker began his re-election campaign, his allies and various conservative groups charged that the wide-reaching probe tended to stifle their participation in the election, a violation of their rights to free political speech. The investigation eventually ended with no charges filed against the Governor but the DA still tried to keep the case open. The case also drew the attention of the federal courts and was soon stopped dead in its tracks by a federal judge who agreed with the DA’s detractors that the investigation had become illicit. In May of this year, U.S. District Judge Rudolph Randa issued an injunction calling into question the legitimacy of the whole operation. But DA Chisholm is still not done with his already discredited prosecution of Walker and conservative groups in Wisconsin. Despite that his investigation was halted by a federal judge, this week Chisholm has taken his case to a federal appeals court in an effort to get the feds to allow him to re-start his series of investigations. The expected ruling by the appeals court could have a major impact on Walker’s re-election campaign, a race that currently has him neck-and-neck with his Democrat opponent, former Wisconsin Secretary of Commerce Mary Burke.